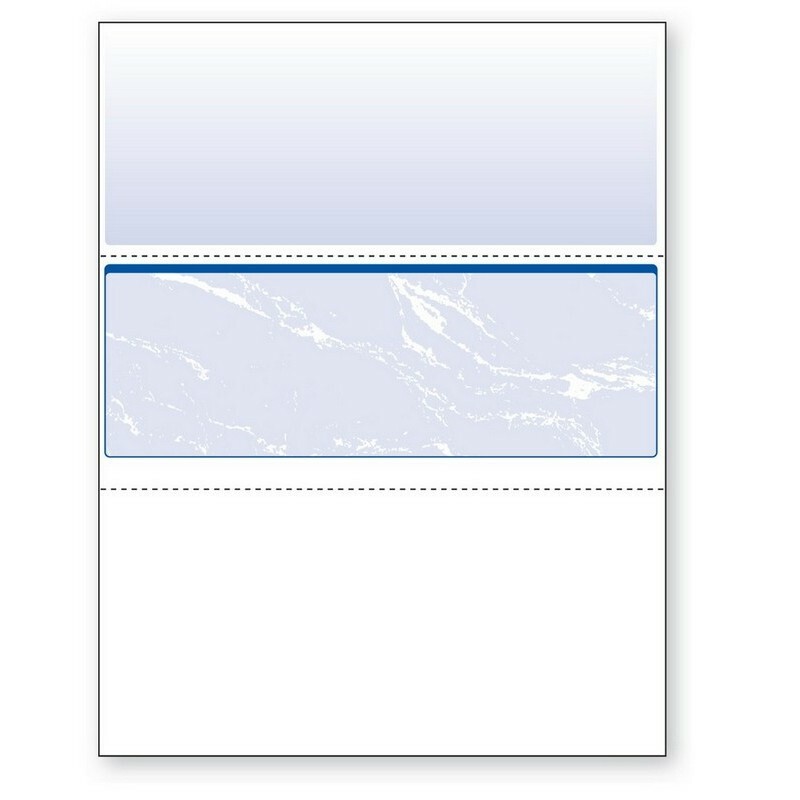 8-1/2'' x 11" Standard Blue Marble Laser Check, Middle Position, 24# Stock (Carton of 2500). DocuGard utilizes the most comprehensive security features recommended by the National Check Fraud Center to keep you protected. DocuGard business security checks are "Check 21" compliant and provide highly secure documents at an outstanding value. These laser check products are compatible with most accounting and money management software packages, including Quicken, QuickBooks, PeachTree, and Microsoft Money. Note that the checks are blank and MICR routing and account numbers will need to be added via a MICR printer. 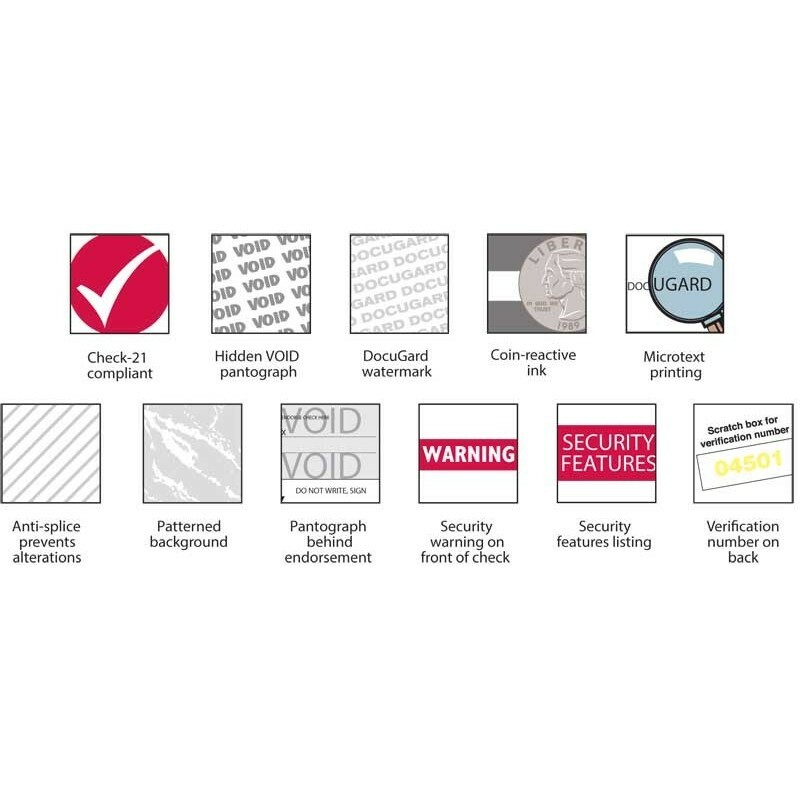 DocuGard standard marble check security features include a VOID pantograph, erasure-resistant ink, security warning, microtext lines, coin-reactive watermarks, anti-splice backer, endorsement area VOID, verification number, and a complete listing of security features. This continuous paper comes 5 reams per carton, with a total of 2500 sheets per carton. Please fill out the form below to request special volume pricing on the product BF-04509.